One thing is certain; gnomes really exist! They are not purely creatures of folklore. Wherever you go, West or East, North or South, they pop up in the most unexpected places. Yesterday afternoon I took a stroll beside the River Crouch with the purpose of inhaling fresh air to alleviate sniffling brought on by a cold. 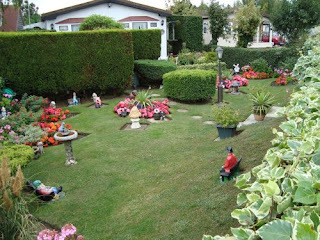 As I compared riverside properties, some luxurious and others modest, I came across a garden populated with all manner of ‘little folk’. There were two country gentlemen seated on benches, while apparently admiring neatly trimmed hedges, precisely cut boarders and colourful displays of flowers. A closer inspection of these folk, led me to believe they were being mesmerized by the vibrant red, pink, orange and blue flowers. Five dogs, a squirrel and a policeman stood motionless, as if they were held by the spell of a wicked witch. Strategically placed, in the near corner of the garden, where he could survey the whole scene, sat The Ubiquitous Gnome in a comfortable armchair. Beyond him, almost hidden behind purple fuchsias, there was a tiny leprechaun-like creature with pointed ears and a conical hat. His whole demeanour gave me the impression he was a very simple chap. Impulsively, I pointed my camera and pushed the button, whereupon I was immediately transformed into a gnome, by what power or by what means, I could not tell. I’ve been doing a bit of sneezing, which is a symptom of the common cold, and sure enough, I have the other symptoms: sore throat, runny nose, hoarse voice, cough, headache and muzzy head. In addition to these I’ve been lethargic, and generally feel rundown. On the positive side, I know that I’m likely to suffer this cold for only a period of seven days, and exceptionally up to a maximum of two weeks. Such a response is normal for adults who are infected with this irritating, mildly pernicious virus. Fortunately, our immune systems produce antibodies that effectively destroy the invasive viruses. Exceptionally, some people, due to certain medical conditions, develop complications leading to bronchitis, pneumonia etc..
Where did I pick up my unwanted infection? For sure, the virus entered my nasal cavities or my eye ducts, before making its way by means of ciliary action to the adenoid area at the back of my throat, where conditions were right for multiplying the minute, but insidious invaders. These are clever little creatures, of which there are about 100 basic types, all capable of mutating. They can set up base camp within 8-12 hours and establish territory guaranteeing an effective contagion and a full-blown cold within 36-72 hours. They love swimming around in nasal fluid where they are strategically positioned for being transferred to another host by means of a sneeze. A nearby person may unsuspectingly breathe in the dispersed viruses. 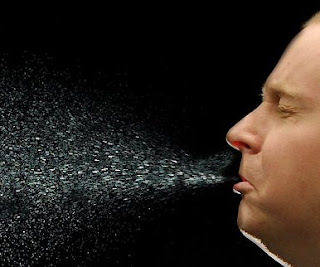 Furthermore, any cold viruses deposited by sneezing, or by tactile means, onto receptive surfaces such as door handles, cash machine keypads, supermarket trolley handles, etc., have the ability to remain infectious for up to 3 hours. Therefore the importance of using tissues for minimising the dispersal of sneezed cold viruses and the washing of hands can’t be emphasized enough. Take care not to touch your eyes, nose or mouth to avoid tactile transference of the virus. Places where people congregate such as supermarkets, schools, colleges, offices, buses, trains or planes are where viral infections are most likely to be transmitted. If we take our responsibilities seriously, we should avoid such places if at all possible, when there’s a chance we could pass on our cold. 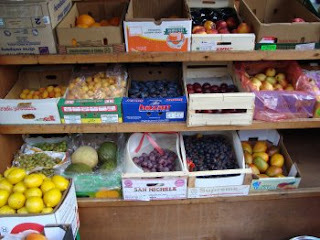 I don’t think there’s ever been a better time for UK residents to taste exotic fruit and vegetables. 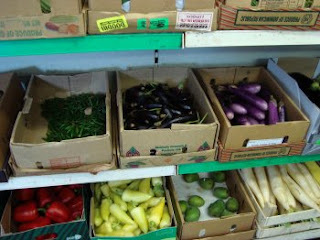 In all the cities and major towns you can find Asian or Indian shops specializing in varieties from all around the world. 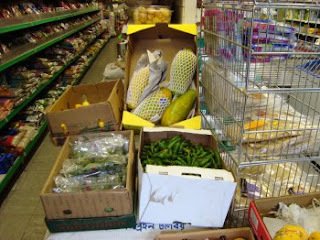 This morning my wife wanted half a dozen mangos, so I took her to her favourite shop packed with produce from different countries. 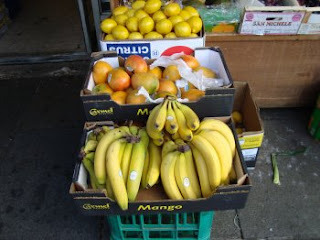 In addition to the honey mangos of her choice there were a huge variety of colourful fruit, the names of which I do not know, but I noted that they originated in places from as far away as Brazil, Costa Rica, Pakistan and from nearer to home, Cyprus. 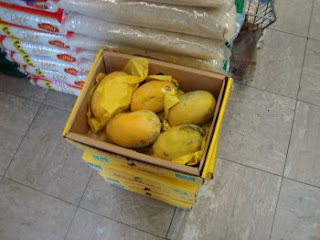 I suppose some fruit such as bananas arrive here by boat, while others come by plane or perhaps by road, if from Europe. 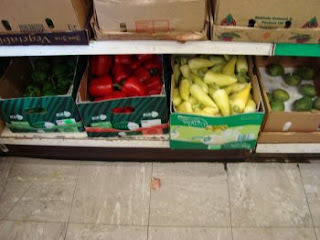 I was amazed at the wide choice of intriguing items, and to remind me, I took photos of them. 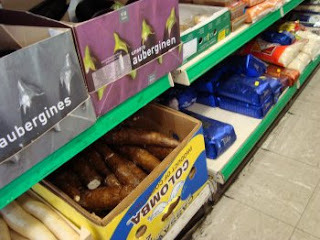 Even bigger suppliers, like Tesco*, Sainsbury’s and their competitors cash in on the market by importing fruit and vegetables from foreign lands to satisfy demand from ethnic communities who trace their origins and cultures back to the lands where the produce grows. I attended the funeral of a neighbour today at a nearby crematorium. It was a short, but dignified affair. I couldn’t help being emotional as I interacted with the obvious sorrow of those bereaved, particularly my friend’s wife and her two daughters. There was very little religiosity in the ceremony as a priest sensitively conducted affairs. A small gathering of relatives and friends listened attentively. I learned that my friend had served in the Royal Navy during the Second World War, and it was then he met and married his wife. They had two daughters from whom they acquired five grandchildren. A doting Grandfather, he spent many hours with his grandchildren and he delighted in teaching them to swim. As a young man he had been an accomplished swimmer. The priest read a eulogy composed by one of his daughters which was full of praise for a perfect and wonderful father who had always been gentle and tolerant with his family, friends and strangers alike. After the war he had worked on the buses and later was an employee of Lloyds Bank. At intervals during the service, various songs and tunes were played, one of which was Louis Armstrong’s, ‘What a Wonderful World’, and towards the end, during a short time for reflection, there was Canon in D by Johann Pachelbel. (This can be heard here: http://grace-gospel.org/ ) I found the melody very moving. The only concessions to anything resembling a traditional church funeral service were the saying of the Lord’s Prayer and the committal prayer of the deceased to the keeping of the Lord. Shortly before the curtains closed, one by one, family members placed single rosebuds on the coffin. Finally there was the playing of a solemn military refrain as mourners left the building to gather by floral wreaths and sprays that had been removed from the hearse. 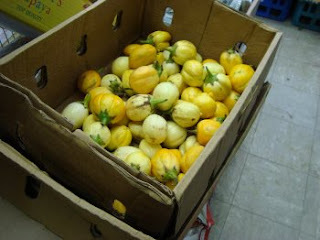 One of these was a beautiful rendering in yellow flowers of the word, ‘DAD’. There, people gave comfort to my friend’s widow and his family before they left for a get-together in private. I shall always remember this dignified and simple tribute to a gentleman (in the truest sense) I was privileged to have as my neighbour for many years, a man who had lived faithfully and lovingly with his dear wife. The fable children are taught at junior school about Sir Isaac Newton discovering the rules of gravity because an apple fell on his head is most probably just that, but he did come up with his ‘Law of Universal Gravity’* which is used today. Gravity is something we take for granted. We seldom give it a thought, and yet all of us are subject to this mysterious ‘force’. Gravity is not a substance, but it is a property of anything with mass. The more mass an object has, the stronger the gravity; hence the moon having only 1/80th the mass of the earth, has 1/6th the gravity of the earth. It is believed by some that all forces of gravity extend infinitely into the universe, but the further away a body is from the earth or any other planet, the less powerful the gravitational force becomes. We stay where we are when standing on the earth by virtue of the fact that gravity exerts a force upon us towards the centre of the earth. Without this force keeping us to the ground, we would be flung into space by the centrifugal force generated by the rotation of the earth. Without gravity the universe would not exist in its current form; for example, the force of gravity keeps the waters of the oceans where they are, while the sun and moon’s gravitational forces affect the oceans’ waters by drawing them or heaping them up, thus causing the flow of waters causing spring or neap tides. When the moon, sun and earth are aligned, the greatest influence of gravitational forces is exerted on the oceans so as to produce spring tides. Gravity also has an affect upon the pressure of the air we breathe by exerting its force on the particles that constitute it. The higher an ascending object is above the earth’s surface, the lesser is the air pressure exerted upon it. The average air pressure at sea level induced by gravity exerts a force of about 14.7 lbs on every square inch of our body, and if we were in a submersible at the location of the wreck of the Titanic, our submersible would have to withstand a pressure of 6,000 lbs per square inch! From this illustration you can see that water has a mass much greater than air. From the time of Galileo (1564-1642) and later, Isaac Newton (1643-1727), scientists have been studying the nature of gravity. Much is understood about how it operates and the mathematical ‘laws’ to which it conforms, but to the actual question, “What is gravity?” there are varying theories, but no one proven answer. Meanwhile watch out for the banana skin, otherwise Gravity will have the last laugh. Ageism is prejudice or discrimination on the grounds of age - not just ‘old’ age. These attitudes mostly affect older people, but whether old or young, the heart of the problem is ‘our’ attitudes. These prejudicial and discriminatory categorizations have evolved over time to become accepted stereotypes passed on from generation to generation. Stereotypic perceptions of old or young people have become generally accepted, even by those discriminated against, just as if they had been brainwashed or conditioned to accept them. 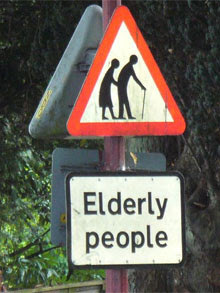 Youngsters may use derogatory words such as ‘fuddy-duddies’, ‘old coots’ or ‘codgers’, when referring to elderly men, and when describing elderly women they may call them ‘old hags’, ‘witches’ or ‘doddery cows’. None of these epithets are endearing or acceptable when describing the elderly. On the other hand, older people referring to teenagers can be just as scurrilous with words like ‘layabouts’, ‘druggies’, ‘hoodies’, ‘floozies’ and ‘boozy boppers’. Sometimes you may feel there’s an antipathy between young and old - some sort of warfare or alienation. This is to be discouraged by acknowledging that all people, if they live long enough, experience childhood, middle age, and old age. There need not be artificial groupings on account of age; rather there should be recognition that there’s a gradual transition from the cradle to the grave. Middle-aged people are not generally affected by ageism, except in these times of high unemployment when workers are being made redundant. An employer, for example, may prefer to continue employing a youngster on low wages instead of a mature worker on higher wages. Even with the Age Discrimination Act, employers do not pay identical wages to all workers doing similar jobs, but employees are fearful to complain, because they may lose their jobs. There are some practical measures we can take to re-educate ‘our’ entrenched prejudices. We can recognize and demonstrate by acceptance that whatever age a person is, he has something to offer, whether youthful enthusiasm and a willingness to learn, or an eagerness to share skills and knowledge on the part of older folk. Take people for what they are and what they can do, and give them respect. By using terms like ‘little old lady’, ‘doddery bloke’ or ‘senile fogy’, we demonstrate our own prejudices and discriminatory attitude. We need to initiate change in ourselves, in our homes, schools and the workplace. No one can fail to have heard of the release of Libyan Abdelbaset Ali al-Megrahi from a Scottish prison for repatriation to his home to die. This man was indicted on 270 counts of murder in 1991 for being a perpetrator of the Lockerbie bombing of Pan Am Flight 103. He has always maintained his innocence. Medical experts agree that Megrahi will die from prostate cancer within three months, and under Scottish law this condition meets the criterion for compassion whereby he can be allowed to spend his dying days with his family. 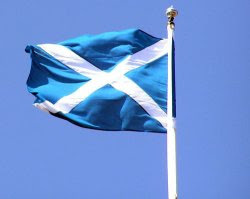 The final decision for his release lay squarely on the shoulders of the Scottish Justice Minister, Mr Kenny MacAskill, who had the unenviable task, because whatever his decision, there would be those who would object, particularly relatives of the innocent people killed in the atrocity and the US administration, the main basis of their objections being the apparent injustice of the compassion shown. There are those too who believe the fight against terrorism has been severely weakened by giving the wrong signal, one of weakness. 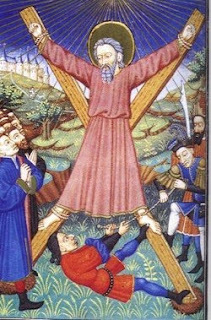 MacAskill, himself observed that Megrahi had not shown compassion, and yet that was not a valid reason for not showing compassion to Megrahi who would be judged by a Higher Authority i.e., God. Compassion is not just an emotion; it is an inner conviction that often leads to action for the relief and aid of those in need. Compassion is not uniquely a Christian attribute, for all mainstream religions teach the blessings of charity for the poor and those in need. Compassion is something more than empathy. Every person with a loving heart, religious or not, contains a seed of compassion. Walking is something we take for granted, unless we are a paraplegic, and yet many of us only walk when we need to. We often choose an alternative means of getting from A to B. If we want to go to the local shop, we slide into the car or use the moped. By habit we take the lazier option, rather than the healthier and greener alternative. In terms of benefiting our health, there is no better or cheaper way of achieving and maintaining physical fitness than by walking. Running can cause injury to joints and tendons, as well as exacerbating existing injuries. Swimming usually costs money, unless it is done in the sea, a river or a lake, and travelling to where you want to swim takes time. Workouts at Sports Centres or Gymnasiums need preplanning, whereas walking can be spontaneous, simply by stepping outside wherever you happen to be. Walking is an activity you can do alone or in company, and it can be taken to different levels. If you want to walk with others, you can join a local ramblers’ group, or you may like to take an organized holiday by a tour operator specializing in trekking or walking holidays. Alternatively, you could do your own thing by exploring the well-defined trails of the National Trust, or try the tracks of the Lake District. The more intrepid walkers could even venture to the ancient ruins of the Incas at Machu Picchu, high in the Andes of Peru! The health benefits of regular exercise by walking are far-reaching, even if you only walk for 10 to 20 minutes perhaps twice a day, but at a fairly brisk pace, say 4 mph. That may require a gentle introduction, especially if you are not fit. Just start with an easy quarter-of-an-hour amble. From then on progressively increase the length of your daily walks over the next week or so. Maybe by the end of the third or fourth week you could achieve a minimum of 2 ½ to 3 miles a day. After two months, gradually increase the speed of your walking to about 4 mph, but it is best not to make strict rules otherwise walking could become a chore. Just enjoy what you are doing and walk at your own pace. Different locations can make the experience more pleasurable. If you have health problems, perhaps associated with being overweight, or you have diabetes or high blood pressure etc., it may be advisable to consult your GP before starting a walking/keep fit programme. I am not a clinician or medical practitioner, but I’ve read that the benefits of regular walking may include improved cardiovascular health, the reduction of back pain and better mobility for arthritis sufferers, plus it helps those who have osteoporosis and those with high levels of cholesterol. Walking is a positive means of reducing weight and it also helps reduce high blood pressure, and perhaps lessens the chances of heart attacks and strokes. Even varicose vein sufferers may benefit from the exercise. 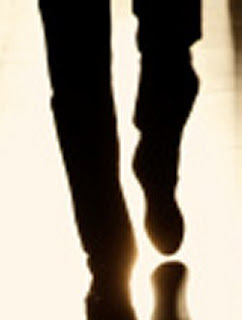 Walking is a means towards achieving good health which is a factor leading to longer life. Even a fit elderly person can continue walking, whereas running or active sport for the elderly is generally out of the question. Surveys in the US show that the highest percentage of regular walkers (39.4%) is comprised of men over 64, and I guess it is similar here in the UK. Walking can also be beneficial for a person’s mental health, being especially effective for the release of tensions and stress. A solo walker is left free to unwind, and the physical action of walking relaxes the mind. I know that when I return after a brisk walk, I feel more relaxed than when I set out. 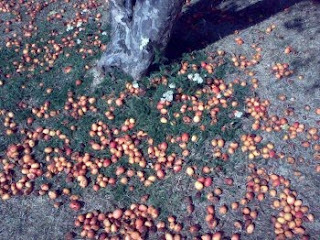 While walking, my mind is free to roam any topic, and if I feel like praying, I can do so without distraction. Do you live on the other side of the road? It won’t make a bit of difference, because you will have to suffer the subwoofer booming noises from the 1000w Sony Xplod P5 series or similar loudspeakers fitted to the car of some extrovert who wants to share his favourite noise, not just with his neighbours as he passes through, but with strangers more than a mile away! He thinks he’s the most popular guy on the street and believes he’s sure to impress his girlfriends. What he doesn’t realise is that he’ll be deaf before he’s forty, and those who are foolish enough to share his company in his Boom Boom Machine will also be deaf with him. This form of extroverted conduct is classified as ‘anti-social behaviour’ and the Police have powers of arrest and confiscation of equipment from persistent offenders. In June of this year the Devon and Cornwall Constabulary embarked on a region-wide scheme to address the problem of noisy vehicles. Plymouth Police use sound measuring equipment to monitor decibels emitted from stereo systems and they have been using these devices in targeted areas such as West Hoe, the Hoe and the Barbican. Subwoofer speakers produce sound pressure levels and infrasonic waves that truly vibrate anything nearby. 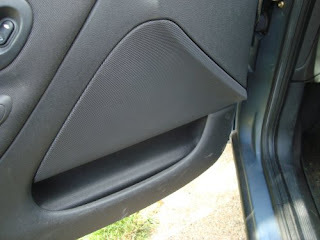 I know, because when my car was behind a Boom Boom Car it really shook and the skin on my body rippled! This sort of exhibitionist behaviour has been described as ‘passive aggression’, but there’s nothing passive about it. Fortunately we are way behind the US, because there, the competitive spirit reigns, and a subculture exists known as ‘booming’. The booming buddies arrange ‘sound pressure level’ (SPL) competitions, also known as ‘dB drag racing’. These are held nationwide, and at their meetings, manufacturers promote brands and equiment, while installers publicise their businesses. The trade amounts to millions of dollars. 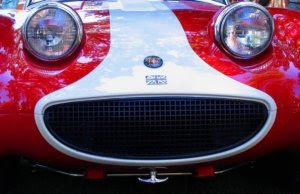 Here in the UK, legislation* exists to clamp down on the ‘boy racer boomer’ or individual who seeks respect from his peers by making the loudest noise with the most expensive subwoofers, but has little respect for the majority of law-abiding citizens who don’t share their lack of consideration and lack of taste. The difficulty arises in catching the perpetrators by virtue of their mobility. orders that can impose bans from certain roads, and there are even confiscation powers over vehicle owners in more serious cases. care on the part of the driver". On-road enforcement is by the police. Environmental Protection Act 1990: under Section 79, as amended by the Noise and Statutory Nuisance Act 1993, loud music from stationary vehicles may also be defined as a statutory nuisance. Environmental health officers, therefore, have powers to serve abatement notices during these incidents. Failure to comply can lead to fines and confiscation of equipment. As set out in Chapter 7 of the Respect Action Plan, the Government are also considering how law enforcement methods for such offences can be improved." The study the winds of the world is a major part of global meteorology and to a large extent the weather is determined by the wind. Here in the UK the prevailing wind is from the South West, which means that as it journeys across the North Atlantic it picks up moisture from the ocean before arriving at our shores. 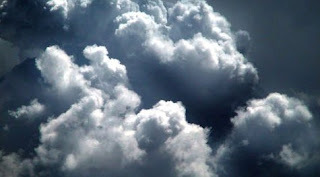 As this moist air is lifted into the cooler, higher atmosphere by convection or by land masses, clouds are formed. These clouds may bring rain, sleet, hailstones or snow. In the summer and autumn months hurricanes can form at sea and vent themselves on the Caribbean Islands and the Florida Panhandle. Indeed, the first tropical storm of the year brought gale-force winds and driving rain early this week to those areas. These revolving currents of rising air, warmed by the sea, grow in intensity causing havoc when passing over land, before subsiding into larger areas that move with the general trend across the Atlantic to our shores. Here they translate into gales or unsettled weather. The power of the wind can be awesome, but for those who experience a hurricane it must be truly terrifying. 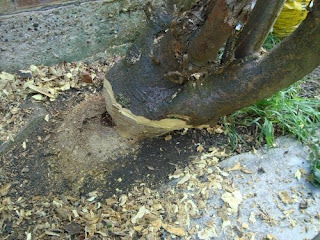 The resulting damage to property can run into millions of dollars, and often there’s personal tragedy, because of injury or death. Fortunately, hurricane-force winds are seldom experienced here in SE England and we generally have less windy conditions than the exposed Western side of the Country. We also have less rainfall. Only a few miles from where I live, the village of Great Wakering has the least rainfall in England. 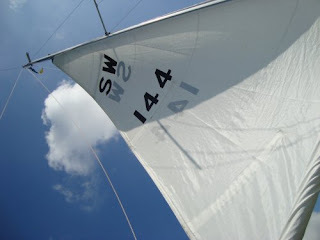 Sailors rely on the wind, and when cruising or racing they study it carefully to their advantage. Apart from the tide, the wind determines success or failure. Just now, Mike Perham, a young British lad, is on his final leg after sailing around the world. In his Blog (http://www.totallymoney.com/sailmike/?cat=5)he constantly tells of what the wind is doing, and he’s always happy when there’s enough of it to make ‘Totally Money’ surf at speeds in excess of 20 knots. If we are to engage in an outside activity we may well take a look beforehand at the weather forecast. 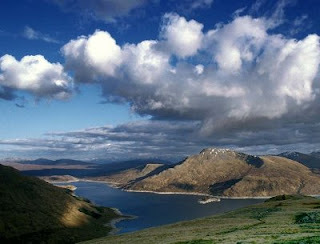 Having seen the forecast we may abandon the outing because of the likelihood of rain, hail, snow, fog or strong winds. That has happened to me a few times this year. Today was a case in point when I had hoped to have a sail. The main deterrent was predicted heavy showers. Before going for a sail I usually look at the following web sites: http://www.burnhamoncrouchweather.com/ (Burnham-on-Crouch Weather); http://www.xcweather.co.uk/ (UK Wind Map); http://news.bbc.co.uk/weather/ (BBC Weather). This morning, the BBC predicted there would be showers during the afternoon, and the Burnham Weather Station gave a 20% chance of rain. The Wind Map indicated there would be a Force 3 from the SW during the morning and Force 2 in the afternoon. 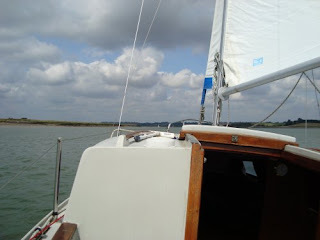 The wind was not a problem, but my intended crew of three knows nothing about sailing, and the business of tacking up the River Crouch with them tending the sheets was not an inviting prospect, especially when there was a high possibility of heavy showers. Furthermore, the crew did not have suitable protective clothing. I therefore called off the venture. This afternoon there were a few heavy showers and the biggest gust recorded at the Burnham Weather Station was 29.0 mph which makes me feel right about my decision to call off the outing. One of my potential crew members generously occupied his time by trimming the fir trees at the bottom of my garden while the others went to the cinema. I hope this unsettled weather will take a turn for the better, although that seems unlikely because the hurricane season has brought forth its first tropical storm in the Caribbean and the Florida Panhandle, and as I write, hurricane Bill is bringing rain to Bermuda. Unless you live on a desert island that supplies all your needs, inevitably you’ll have to shop to survive. Here in the UK there has been a marked decline over the years in the number of stores selling essentials and luxury goods in our High Streets and Town Centres. With the ever increasing out-of-town facilities such as Bluewater in Kent and Lakeside in Essex, smaller local businesses have been hard-pressed to compete. Unless they specialise in commodities not generally available at mega-outlets, they have difficulty in making ends meet. During the economic downturn they are really up against it. People will patronize stores where prices are low and where they can find value for money i.e., supermarkets such as Tesco, Sainsbury’s, Asda, Waitrose, or Morrisons. 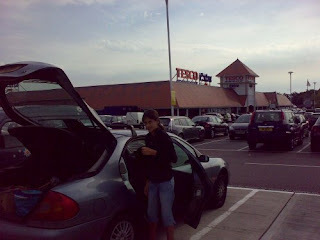 Furthermore, these superstores provide free car parking, often with their own filling stations, along with the convenience of being able to trolley bulky items to the boot of the car. Some offer a chance of social gathering at their restaurants or cafés and most of them have toilets, including toddler facilities. As firms like Wooworths fail, the supermarket giants are quick to claim their ground and set up complementary stores such as Tesco Extra. How can small businesses compete? We plebeians, the ordinary shoppers, have little option, other than to patronize the supermarket of our choice, and how loyal we are too! Even in these sparse times, few of us change our allegiance. We keep our loyalty cards and seek every opportunity of using them to gain points for discounts and money vouchers. The grip that our favourite supermarket has on us is quite astonishing. The marketing machine watches our every purchase, and we are sent offers through the post encouraging us to part with our money. 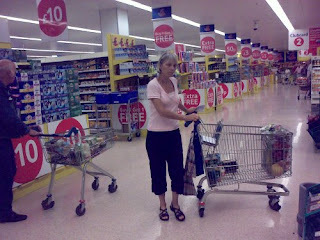 Today my wife and I did our weekly shopping, as usual at Tesco. It wasn’t an unpleasant experience, but I was staggered at the bill. Just now we have relatives staying with us, which has meant an increase of more than £30 to the normal tally. I’m not grumbling, simply observing, and another observation is the origin of some of the commodities. The pears were grown in Argentina and the bananas came from Colombia – that’s just not global-friendly in terms of carbon footprints, and yet we bought them. Had the choice not have been there we would have been quite happy to purchase local products, but I grant you, bananas do not grow well in Essex! Maybe we could have done without the bananas and even the pears. On the other hand supermarkets should not shirk their responsibility of reducing the adverse affect of carbon emissions by choosing goods and suppliers that require less consumption of fossil fuels. I believe people cherish the convenience of large malls and supermarkets, and they shop at them so habitually that buying commodities elsewhere is no longer considered an option. The clock cannot be turned back to the days of individual service at a variety of High Street stores. As the supermarkets become increasingly dominant they will gain more and more control over our lives, even offering financial services similar to banks and building societies. The more they control us, the more powerful they will become, and yet none of the anonymous highly paid magnates who manage them are elected or chosen by us. Shareholders are contented as they grow richer and richer, even in these times of restraint. When did you last receive a challenge in the form of a dare? I suppose I was probably about 9, and I can’t exactly remember what the dare entailed, but I can recall being a member of ‘Our Gang’ when we challenged each other to collectively ‘raid’ a recuperation centre for children who had been injured during the war. These unfortunate youngsters had not been evacuated from the cities and taken to places of refuge before becoming victims of air raids; consequently they suffered the traumas of injuries, and perhaps they had lost brothers, sisters or parents. We, as children being brought up in the comparatively safe environment of the Somerset countryside had little understanding of what these youngsters had gone through. ‘Our Gang’ was a territorial group of juveniles who opposed a similar gang from nearby. There was no real malice towards our ‘enemies’. We simply enacted psychological warfare. I can’t remember the two gangs actually drawing blood in a conflict, but we were an intimidating lot. We armed ourselves with Hazel and Ash poles that resembled javelins, and we ran about like a lot of wild Indians. On this particular day of the dare we plucked up courage to make an attack upon the Centre where these children were housed. The first individual dare was for someone to creep up the long path to the front door; then press the imposing brass knob on the end of a plunger that made the bell ring. 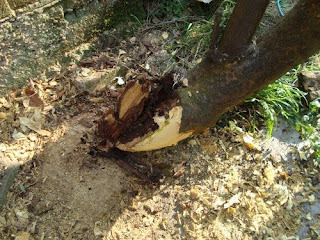 A braver person than me took up the challenge, while the rest of us hid behind the trunks of trees that surrounded the requisitioned manor. Having carried out his dare he quickly scampered to a nearby bush. Seconds later a tall, matronly lady dressed in a red nurse’s uniform appeared at the door. After a brief moment, and with an expression of puzzlement, she retired behind the closed door. Five minutes later another brave warrior repeated the dare by pressing the brass knob. Out came the lady again. This time the colour of her face resembled the colour of her uniform. Discretion being the better part of valour, we retreated to the cool shadows, under trees beside a pond, a few hundred yards from the mansion. There we laughed and celebrated our victory which was short-lived. Our lookout made a high-pitched cry of, ‘Copper! ‘Let’s scarper!’ I was the smallest and youngest member of the gang which meant I could not keep up with the bigger boys, and by the time I had climbed halfway up the iron fence the others had vaulted, I felt the strong hand of a rotund policeman grabbing my belt. Well, allegiance was thrown out of the window, and it was only a few minutes later that the Man in Blue had all the facts; whereupon he vowed to visit the parents of the miscreants. In due course we all faced the consequences of stern admonitions from our parents and never went near the place again. 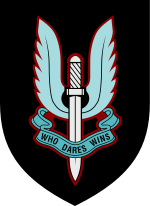 In these times of the Afghanistan conflict I am reminded of the valiant efforts and dedication of the Special Air Service whose motto is, ‘Who Dares Wins’. By attempting to win, some brave souls have lost their lives, but there are no winners in warfare and those who dare to make peace may win the battle of hearts and minds, as with the relative ‘peace’ of Northern Ireland. I came across this statement somewhere on an Internet forum: Political correctness is a form of neurosis and a curb on free expression in a world of hyper sensitivity and over reaction. Have you noticed that in many instances it operates on a one-way basis only? The situation here in the UK is quite different today. We are repeatedly reminded that we live in a multi-cultural, multi-faith ‘community’, and that this ‘country’ is no longer a bastion of Christianity, having laws mainly based on Christian principles. European Human Rights legislation has changed the political climate to the extent that our representatives in Parliament are afraid to speak plainly; instead they have to consider every word that passes their lips. Indeed, ordinary citizens have to watch their words because they might be considered as being prejudicial, discretionary, inequitable, anti-egalitarian, or plain offensive. Words must always be considered within their contexts for a true understanding of their intended meaning. Expression and import can place an entirely different meaning to the conventional dictionary definition. Over-sensitivity to what is said or written is a form of nervous disorder, and those who suffer from it can take affront where none was intended. 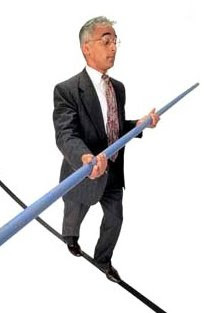 In this age of anti-discrimination and claims for compensation one is on tenterhooks, walking a tightrope while having lips zipped in case a slip is made. Plain commonsense no longer prevails. Surely we need to grow up and accept that the world is not a fair place where equity rules, because it never has been, nor ever will be, even when the Lord Jesus reigns during His Thousand Year Kingdom. Frank Sinatra is remembered for his song, ‘My Way’, the lyrics of which express his attitude to life. Without a doubt he exercised his willpower towards doing things the way he thought best. He admits that occasionally he took on more than he could chew, but he boasts of continuing through to the end, and he felt proud about it. In the last verse he likens himself to a boxer, a tough guy who would not give in when under attack; instead he worked through the rounds his way. If defeated, there was no one to blame except himself, and if victorious he could stand tall because he did it his way. 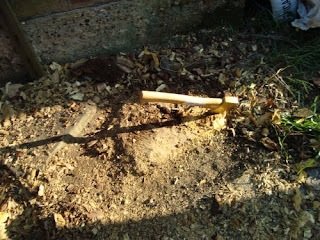 Well, I felt a bit like ‘Ol’Blue Eyes’ today, because I took on the job of cutting down a rotten tree that had roots lodged under the foundations of my garage. The only tool I had that could make any impression on the very hard Laburnham was a small chopper, but by exercising my will to achieve the end, I did it my way. I can’t say I could stand tall at the end, or be proud of my achievement. 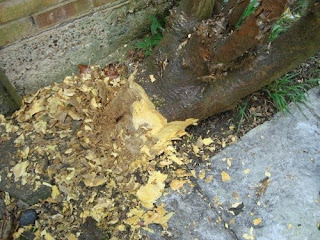 If I had done it the way my wife suggested, i.e., hire a chainsaw, I would have done it in a fraction of the time and I would have been able to stand up afterwards! MVP can mean ‘most valuable player’ or ‘most valuable professional’. Annually Microsoft nominates their most valuable professionals, and by definition they are ‘exceptional, technical leaders who share their expertise with technical communities’. These professionals are not necessarily employed by Microsoft, but they contribute to the development of their products and systems. Indeed, Microsoft uses these talented, inspired technicians when they are associated with user groups, code camps, MVP Global Summits, conferences and training sessions. The term ‘most valuable player’ is typically applied to a person who contributes most to a team’s success, either at a specific event or during a series. Managers overseeing soccer, rugby, cricket or other teams may nominate MVPs as a means of motivating, encouraging or rewarding team members. How MVPs are singled out will depend upon the judgement of those choosing the nominees, but they must use criteria for assessing the value of a team member. In the case of a football player, he may not have scored a goal during a game, but his brilliant passing of the ball resulted in others scoring. The pertinent questions to ask are: “What is valuable?” and ‘What is most valuable?” If we apply these questions to ourselves, what do we come up with? In answer to the first question, anything of value has worth. A ten pound note is of little worth to an ocean rower thousands of miles from land, but to a motorist whose car is just about to run out of petrol, it is worth a great deal - especially if his car is close to a filling station, and ten pounds worth of petrol will get him home! 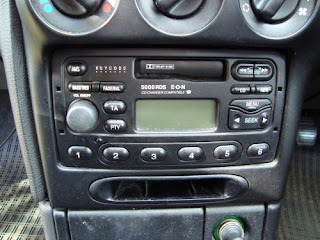 In answer to the second question, value is inevitably related to circumstances, and an item or an action of most value must be related to a specific circumstance, e.g., if I need to change the sparkplug of my outboard motor because it is fouled up with oil, but I do not have a sparkplug spanner, instead, I have a Mole Grip that will do the job, the Mole grip is the most valuable tool I have. 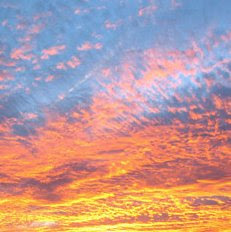 At this time of year in the northern hemisphere the sun rises early and sets late. Here in the UK the sun rises just before six and sets about a quarter past eight; that’s about fourteen and a quarter hours of daylight. I habitually wake as the sun rises and more often than not go to bed between ten thirty and eleven o’clock at night. That gives me seventeen hours for doing those things that need to be done and other things that I want to do. This evening, as I took my post-prandial walk I was amazed how long my lumbering shadow was as it kept pace with my every stride. 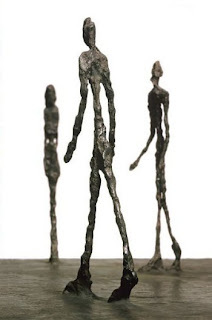 The spindly shadow exaggerated my height and resembled a moving Giocometti figure. For some reason the hovering sun just did not want to set, but very, very slowly it reluctantly dipped beyond the rooftops, radiating pink and purple hues, while golden tints and acid yellows reflected from high mare's tails suspended motionless in an endless, aqueous blue. A bright star, like a priceless diamond, sparkled, enthroned in heaven above. When God responds to prayers He can perform mighty miracles, so don’t underestimate the power of ardent prayers. I had a good sail today. Low water was roughly 1230, and the plan was to beat up the River Crouch from Rice and Cole towards Fambridge, then return against the incoming tide with the South Westerly helping us along. Before setting out I used the garage broom to scrub the fuzz off the bottom of the boat. This was easily done in about 10 minutes from the dinghy by using the side of the dinghy for levering the broom against the yacht’s hull. After having morning coffee I prepared ‘Ladybird’ for sailing and shipped the new Honda 2.3 outboard. It was 1130 and the wind had backed to the South, which was ideal for a fine reach to Fambridge. As shadows were cast on the water from the clouds, wind gusted to the cool spots causing problems for the Autohelm; therefore I had to steer. I felt a bit peckish, so I ate an early lunch as I steered with my leg over the tiller. At around mid-day the wind backed to the South East and it eased somewhat, which caused me to change my plan. Instead of going to Fambridge I would need to work the boat to the East, because both wind and tide were coming from that direction. 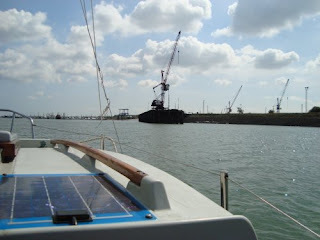 Having sailed along the South side of the moorings via the dredged channel to a point beyond Rice and Cole, we arrived at the widest part of the River. There, the wind veered, which caused me to free the sheets to prevent the boat from gybing. Continuing to the East, my next plan was to sail into the River Roach for beam reaching on the starboard tack. I reckoned there would be enough wind to enable me to return against the incoming tide, but as I steered a course into the Roach a short distance from the Branklet Spit Buoy, the wind veered to the South West. I therefore gybed the boat towards the Crouch, but as I did so, the jib sheets snarled together and the wind increased to about a Force 4. By using the Autohelm I had time to untangle the sheets and set ‘Ladybird’ on the port tack for returning to Rice and Cole. Although both the mainsail and the jib were reefed, ‘Ladybird’ heeled to the gunwale in the gusts, and the wind continued to increase. I needed to get back to the mooring quickly because the wind could increase further, and being on my own, picking up the mooring could be tricky. A couple of hundred yards from the first of the moorings I started the motor and took in sail. Tiny, as the Honda 2.3 is, the little engine had enough power to push the yacht against a good Force 5, with the help of the incoming tide. I steered a looped course between the moored yachts to bring the boat head to tide, with the wind from astern. That enabled me to reduce the boat speed before picking up the mooring. When my yacht was shipshape and securely tied to her mooring I made myself a refreshing cup of tea. After stowing the engine and locking up, I rowed the dinghy to the Rice and Cole floating pontoon. All in all, I had a jolly good sail. 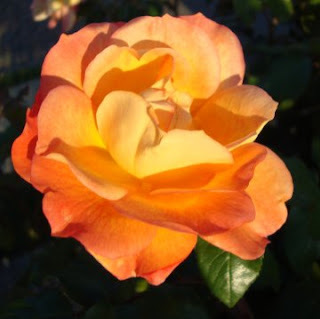 Yesterday I wrote with some passion about the nature of love, and from what I had to say on the subject, you may gather that I thought love was very important. Without love the world would be a poor place, certainly in terms of human relationships, both in a limited sense between individuals and in the broader sense of global relationships. Apart from eternal salvation through the saving grace of Christ, I can think of nothing more important than love. If hate were the most dominant desire of human beings there would indeed be little hope for their survival, but survival alone is not the important issue, for all material things are subject to decay, including our bodies. What is important about our love is the motivation behind it, the spiritual factor, i.e., the ingredient that generates our heart to engage in the practice of love. Our desires are important, particularly our hopes and aspirations for the effectual outpouring of the love in our hearts. How can people be the recipients of our love? Surely they can know of it and receive it by our words of comfort, words of support and reassurance, but most importantly by our actions. Love is a misunderstood word, and yet probably more songs and poems have been written with love as their theme than any other subject. I feel convinced that if you were to ask Joe Bloggins what he thought love is, he would reply that love is a sexual act. If you were to ask a married mother what love is, she might describe it as caring for her husband and children. This aspect of love brings us closer to the altruistic meaning, which is selfless ‘giving’ without expectation of reward. The Greeks in biblical times used three different words to describe aspects of love: Eros, for sexual love; phileo for ardent affection, as one may love a brother or a very special friend, and agapao, being goodwill to the extent that a man may give his life in exchange for another’s, as Jesus laid down His life on a cross. This is the love that Christians should have for one another. The same word is used in 1 John 4:8 to describe the essential nature of God. When we love someone we may forget to tell them, but it’s so important within a relationship to say the words. Actions and gestures are not enough. The other person needs to hear these words of assurance. Are we negligent of telling our partners that we love them? Do we give them hugs of reassurance and speak words of encouragement? If we do, we are partners in love, both in the agapao and the phileo sense, which we all need. Now, there’s a time and a place for the eros expression of love which is divinely blessed for the procreation of children, and as an act and expression of a deeper love for ones partner. Sadly, in our times, youngsters are not taught the sanctity of marriage and the special relationship between a man and his wife, where sexual relations are shared only between the two. We now have the base extreme where young people undertake sexual acts which they record as digital images for display and exchange via their mobile phones! They call it ‘sexting’. How lewd and indecent is that? And what hope is there for them when it comes to understanding real love and virtue? I have a lot to be grateful for, because of what the Internet has on offer. This vast library of knowledge is there like fruit on a tree waiting for us to pluck what is ‘good’ for our wellbeing, i.e., our spiritual, mental and physical health. If we have wisdom we shall choose golden fruit that will build us up, not only for our benefit, but for the wellbeing of all. I recently chanced upon one such golden apple that I examined, chewed and found to be nutritious. It could be nutritious for you too, providing you chew the chunks that are useful for achieving your objectives. James Allen (1864-1912) succeeded in having nine books published, the most influential being, ‘As a Man Thinketh’. 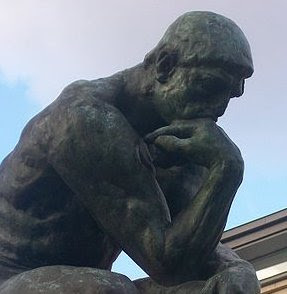 In it he presents the proposition, “As a man thinketh in his heart so is he.” These words come from the first half of Proverbs 23:7, but note that they are placed within the context of associates or friends, and they are to make us aware of their motivations, because associates or friends should be chosen wisely. In the Forward of his book, James quotes, “They themselves are makers of themselves.” These two aphorisms are interrelated, because a man’s thoughts reveal and mould his character. According to the author, people can escape from difficult circumstances or unpleasant environments by having positive, creative thoughts leading to actions which may require perseverance and effort to bring about success, e.g., if someone is fat who wants to be thin, they must think positively and act in accordance with their desire. What intrigued me about his book was the importance of correct thinking for successful outcomes. James maintains that what you see of a man - his appearance, disposition and his acts - reflect his thoughts. But who actually knows, apart from the man, what his thoughts have been or what they are? If they could be known, surely his thoughts would mirror his interests: his delights, his passions, his lusts, his hates, his aspirations etc.. Would any of them have been unworthy? Would he rather people not know his thoughts? Would any of his interests have been out of keeping with his public profile? Have you ever looked intently at your ‘Favourites’ or ‘Bookmarks’ lists lodged on your computer? Do they represent your interests and your frequent thoughts, your passions, likes and dislikes? Delve a bit further and examine the hard drive of your computer where your interests and thoughts may be recorded, perhaps some placed in the trash bin. Are you happy with what you find? Maybe we could all learn a few lessons from James Allen? On my part I have learnt a few things, and I can recommend a read of his short book which is free online at:http://jamesallen.wwwhubs.com/think.htm , but remember, it’s what YOU think is important, not what others think of you. 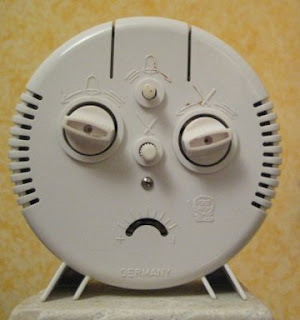 This is how Mr and Mrs Analogue Tick-tock used to look because they were rejected by Miss Alarming Belle, a woman of the world, who falsely said she loved them. She was the flirt who dusted and wound them up every Sunday and set their alarms. She had been seduced by Mr Electronic Age who worshipped Big Computer, Heir Apparent of Cyberspace, whose doctrine was, “Intel Chips are good and Apple Macs are bad!” Having been brainwashed into believing digital clocks were superior, Miss Alarming Belle gladly received gifts of two golden digital clocks from her deceitful lover. She then tricked Mr and Mrs Tick-tock into living in the Land of Suspended Animation where they were unhappy because they no longer ticked, and together they turned down the corners of their mouths. Without hope they lay untouched on a dusty shelf while their colours faded, until one day Shiny Star, the Real King of Cyberspace who did not worship Big Computer or succumb to Electronic Age, zoomed in from the Land of Pearls of Wisdom. There he lived with Super Nova, the Real Big Bang, who was his father. His purpose was to expose the false doctrines of Big Computer and his cohort, Alarming Belle, and to bring new life to those in the Land of Suspended Animation. He explained that chips were bad and apples were good. Mr and Mrs Tick-tock believed, and convinced many to have faith in Shiny Star who had left the Land of Pearls of Wisdom to give them new life. They told all those who wanted to hear why Shiny Star had to fade away until he no longer shone, but had to die so that they would live. They explained that his father loved him so much that he made him brighter than any shining star and beamed him back to the Land of Pearls and Wisdom to be with him and millions of pearly stars. 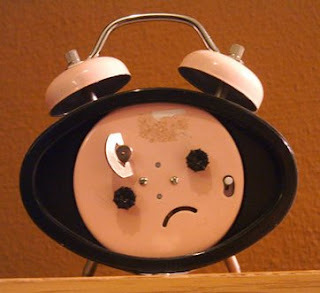 At the very moment the Tick-tocks believed and trusted in Shiny Star, Miss Alarming Belle’s golden digital clocks stopped, and she was frozen for ever on the screen of her laptop. By contrast, the Tick-tocks glowed with colour as their hearts beat and their smiles were like the rising sun. In due time, Big Computer, the false god and Deceiver of Cyberspace, along with Alarming Belle received their just deserts when Shiny Star threw them into the everlasting trash bin of fire where they were consigned together with a load of rotten chips, but the smiling Tick-tocks lived happily ever after in the Land of Pearls of Wisdom with Super Nova, Shiny Star and millions of pearly stars. 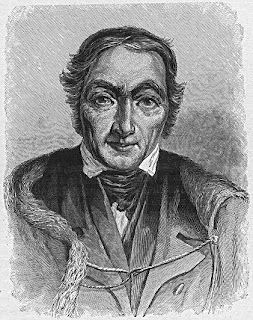 Robert Owen is credited with this saying, "All the world is queer save thee and me, and even thou art a little queer." Robert was a philanthropist and socialist reformer who believed the world would be a better place if children were educated, cared for and encouraged. To discover more about this man who made a difference in the 19th century for the wellbeing of many, visit any of the web sites set out below. His influence and vision continues today. "It is therefore, the interest of all, that every one, from birth, should be well educated, physically and mentally, that society may be improved in its character, - that everyone should be beneficially employed, physically and mentally, that the greatest amount of wealth may be created, and knowledge attained, - that everyone should be placed in the midst of those external circumstances that will produce the greatest number of pleasurable sensations, through the longest life, that man may be made truly intelligent, moral and happy, and be thus prepared to enter upon the coming Millennium". Sadly, Robert had little tolerance for religion, contending that those who practised their beliefs were fanatical bigots and miserable hypocrites, and yet near the end of his life he embraced Spiritualism. Will a global mindset regarding the consequences of global warming be possible, and if so, is it too late to bring about an effective change to the production of anthropogenic greenhouse gas concentrations? Al Gore’s film, ‘An Inconvenient Truth’* rams home the point of view that there is a very limited period for success, and it spells out the dire consequences of mankind’s failure. I am usually of an optimistic disposition, but on this issue wherever I look in my local area I see so little response by way of people actually doing anything to make a difference to the emission of greenhouse gasses. If I am Mr Average Essex Man I use my ancient car every day of the year, i.e., 365 times a year to do approximately 11,000 miles, which works out at 30.14 miles a day. That means it belches out lot of carbon dioxide. 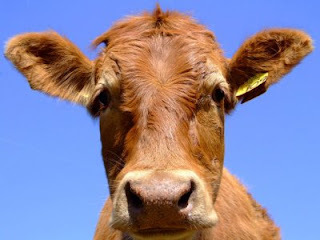 Records show that a cow emits by belching and farting between 80kg and 120kg of methane a year, which is equivalent to the annual carbon emissions of an average family car. Both carbon dioxide and methane gas cause global warming, and added to that, wetlands throughout the world are by far the biggest producers of methane emissions. Our puny efforts at recycling are insignificant by comparison, and the fast industrializing of emerging countries such as China and India can give little hope. Vast quantities of coal are used in these countries, with the consequential pollution of the atmosphere. Animal species are becoming extinct at an alarming rate and we are seemingly powerless to do anything about it. Well meaning people like Roz Savage* who is currently rowing the Pacific and headed for Tuvala, an island that will disappear when the waters of the oceans rise, makes her case for conservation and preservation of the world’s oceans. Like Al Gore she is passionate about all of us making a difference. I only wish I could share their enthusiasm and believe as they do that by creating a world-wide mindset which leads to action, mankind would prevail. You either love it or loath it. For many housewives ironing is something that has to be done, and it is therefore seen as a drudge - a part of the necessary housework. Hubby could not possibly go to work in a crumpled shirt. Turning up at the office wearing a pair of trousers that look as though they have been trampled on by a herd of stampeding horses is just not on, but nice creases that look like sharp steel blades presents the right image for the man who wants to get ahead, one who has get-up-and-go. All this is far from the mark today. Hubby dresses down by turning up for work in a shabby pair of jeans while wearing an open neck shirt. He has designer’s stubble and his hair is spiked with gel. The truth is that if there is ironing to do, the man had better do his own, or else it doesn’t get done, and in some households, unless he does the lot, even the kiddies’, he’ll be lucky to have a hot meal ready for him when he arrives home, shattered with the stress endured because it’s been a tough day. If you are a man who lives in Australia, Italy or Iran, you probably don’t know what an iron is, but if you live in the UK, you most certainly do. 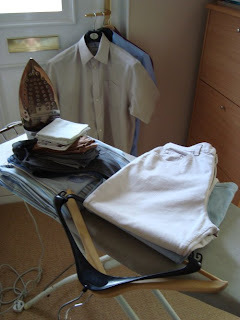 When I was a boy back in 1944 my mother did the ironing. It was the job of a married woman, known as a housewife. Her ‘job’ was to do the housework. I can remember my Mum heating a solid flatiron on the gas stove before it could be used to set creases into starched linen. Round about that time the first electric irons could be found in the shops. They were pretty primitive things, having only a simple thermostatic control. Unlike modern irons they did not have steam and spray mechanisms, neither did they have anti-friction surfaces, or with more expensive versions, separate steam generators. Ironing boards have remained much the same, except it possible to buy suction boards that hold the items to be ironed to the board while they are being ironed. To me, that seems an unnecessary complication - something that can go wrong, especially as some washing machine softeners contain an ingredient that slightly adheres items being ironed to the board. I actually enjoy ironing, providing there is not too much to do. An average wash for my wife and me can be done within an hour, perhaps 45 minutes. When ironing I find my mind is free to think of all manner things. The process is very therapeutic, and the automatic actions required for ironing provide gentle exercise for my arms and back muscles. I must admit that I wasn’t keen on ironing my uniform when I was in the Royal Artillery doing National Service between 1955 and 1957. That was a chore, because I served in a training camp which meant I had to keep my gear spick and span to impress trainees. I had to undergo weekly inspections, just like the trainee servicemen. If my trousers didn’t have creases resembling knife blades I was reprimanded by the Serjeant* Major. My advice to any young lady is, do not marry a man unless he owns an iron and enjoys ironing! Only if this is the case, will the two of you be happy. *When I was in the Army the spelling of ‘Sergeant’ in the Royal Artillery was ‘Serjeant’, because it was the Senior Regiment, but I understand that ‘The Rifles’ also spell ‘Serjeant’ with a ‘j’ instead of a ‘g’. ‘In the Night Garden’ is one of the programmes for young children produced by the BBC for their CBeebees productions. I came to know of, ‘In the Night Garden’, because my grandchildren watch the show and they have soft toys representing the cartoon characters featured in the stories. It’s a magical wonderland where the imagination can run riot. Both children and adults can be enthralled with the antics that the characters get up to while exploring and playing in a beautiful garden where there are lawns, trees, bushes, boulders and even a cave. The main characters are Upsy Daisy and Igglepiggle who are friends. Others, such as Makka Pakka, the Tombliboos and the Pontipines play their parts in the action. There are plenty of jolly songs, funny noises, squeaks and whistles to enhance the colourful presentation, and while new stories unfold the youngsters learn basic phonetics and counting skills. The official BBC web site for ‘In the Night Garden’* has plenty of interactive games that familiarise parents and children with the characters, and there are even a couple of scenes that can include webcam photos of those who take part in the interactive fun. I know, because I’ve seen myself riding in one of the carriages of a train-like vehicle called Ninky Nonk. I forgot to say there’s also a Zeppelin-type balloon that glides to and fro; I think its name is Pinky Ponk. You can even have a flight inside Pinky Ponk with Upsy Daisy while the airship rocks from side to side making you feel quite queasy. 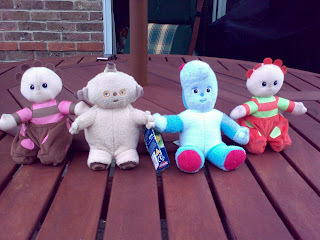 Well, you can tell I’m amazed at what I’ve discovered, and now I can join more fully in the fun with my grandchildren as they play with their soft toys: Upsy Daisy, Makka Pakka and the Tombliboos. Don’t tell them, but I’ve recorded the songs of these characters on my mobile phone so that I can surprise my grandchildren when I next share with them. 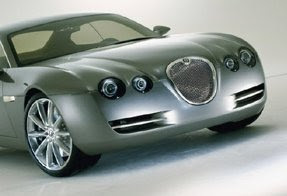 Does your car reflect your perceived persona and does it have a personality that matches yours? As a broad generalization it has been said that owners of dogs resemble their pets. 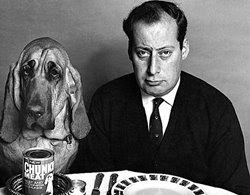 For an example, do you remember the famous 60s TV Chunky Meat advert featuring Sir Clement Freud and his bloodhound Henry? www.youtube.com/watch?v=XmiwNxuRJbA With a bit of imagination you can see the resemblance between Clement and his dog – I’m not meaning to be disrespectful here. 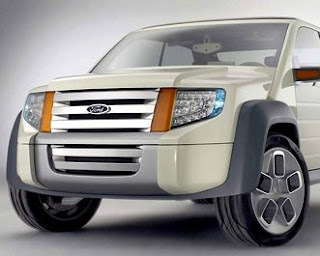 Likewise with a bit of imagination a few modern cars when viewed from front-on have characteristics resembling the physiognomy of creatures such as beetles, dogs, sharks and jaguars. 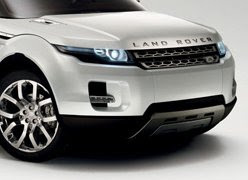 Headlamps may represent the animal’s eyes; grills may resemble noses, and bumpers may be imagined as gaping or grinning mouths. 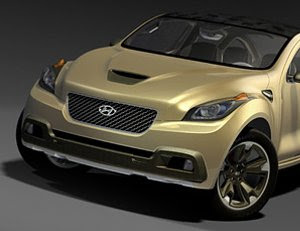 I feel sure designers of cars are not ignorant of the subconscious desires of potential owners to want a car that is in keeping with their perceived persona. A person’s choice of car can say such a lot about the owner, and to this end, manufacturers provide add-on features for personalizing vehicles. 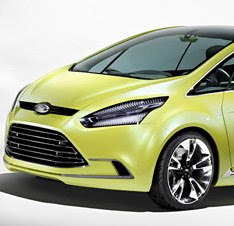 Ford, in particular offer an extensive range of options including body colour, interior trim, fascias and exterior fittings. 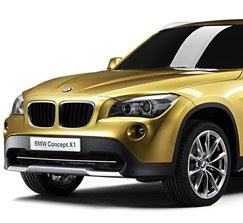 Some 4x4 vehicles, because of their physical characteristics look very threatening; for example, the latest BMWs have headlamps with circular rings of light around their main reflectors and these have the appearance of glowering eyes. Other cars have features associated with aggressive wild animals such as the Great White Shark, whereas smaller cars, like the reincarnated Beetle, look less intimidating and they are perhaps reminiscent of ladybirds or frogs. Without being too chauvinistic I could suggest that cars with rounded features and tinted colours may appeal to women, but cars with angular forms and bold colours may more appropriately appeal to men. 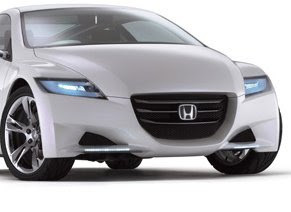 How does your car match you’re your perceived persona? Are you just too poor to consider the matter, and maybe you don’t even own a car! But for sure, my 9 year old Ford Mondeo matches my purse and it fulfils my transport needs. Most likely it matches my persona too, and if it resembles any creature I would liken it to a slug!